My kids are still pulling together their Valentine's for Tuesday. How about yours? 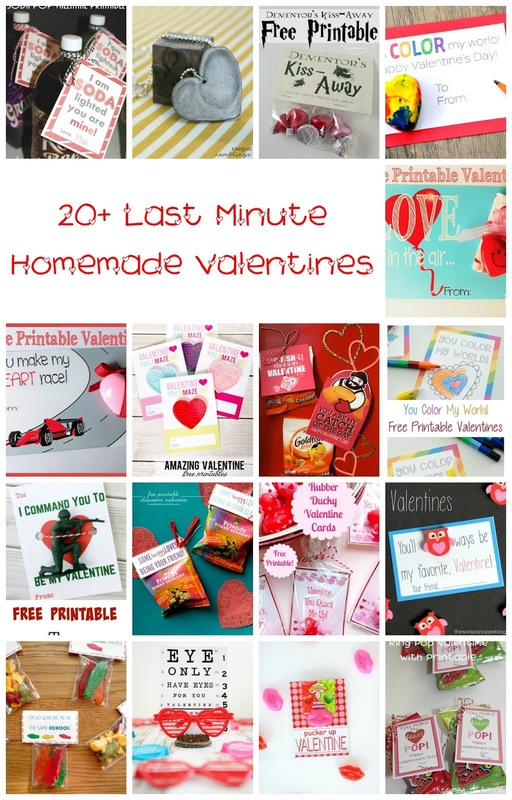 Since I'm in a scramble to get valentines done this year, here are a few that I have done in the past (and some I might be doing this year too) that are as easy as printing out the printable and stapling it onto candy :). Now it's time to get the party started! I'll be co-hosting a couple of parties myself this week. If you have time, I'd love for you to join the fun at my place. ;-) No pressure, of course!